"It means these corals will still go extinct if we do nothing," said Mikhail Matz, associate professor in The University of Texas at Austin's Department of Integrative Biology and lead researcher on the project. "But it also means we have a chance to save them. It buys us time to actually do something about global warming, which is the main problem." The results of their work are published in the April 19 edition of the journal PLOS Genetics. Matz's co-authors are Galina Aglyamova at UT Austin, Eric Treml at the University of Melbourne and Line Bay at the Australian Institute of Marine Science. The source of the coral's resilience lies in genetic variations across connected but widely dispersed populations. One of the major reef-building corals on the Great Barrier Reef is a species of staghorn coral called Acropora millepora. In a 2015 paper in the journal Science, Matz and his colleagues demonstrated that within this same species of coral, some individuals have genes that make them more heat tolerant than others. "This genetic variation is like fuel for natural selection," Matz said. "If there is enough of it, evolution can be remarkably fast, because all it needs to do is reshuffle the existing variants between the populations. It doesn't have to wait for a new mutation to appear; it's already there. The problem is, when the genetic variation is exhausted, it is over and the future is unclear." Some researchers are attempting to create super corals in the laboratory, including through genetic engineering, but that is not what Matz recommends. Rather, he thinks researchers should focus on learning more about genetics and passing that information on to those involved in conservation efforts. Matz thinks efforts to alter corals in the lab are misguided — in part because scientists don't really know how coral genes work and also because there is a more efficient way to help corals evolve. "One way to jump-start coral adaptation would be to move coral colonies bearing potentially adaptive genetic variants among populations and let them breed with the locals," said Matz. "Just provide more fuel for natural selection at each location so there's more to choose from." Next, the researchers plan to conduct experiments to verify that their model's predictions match how real coral populations are currently evolving. 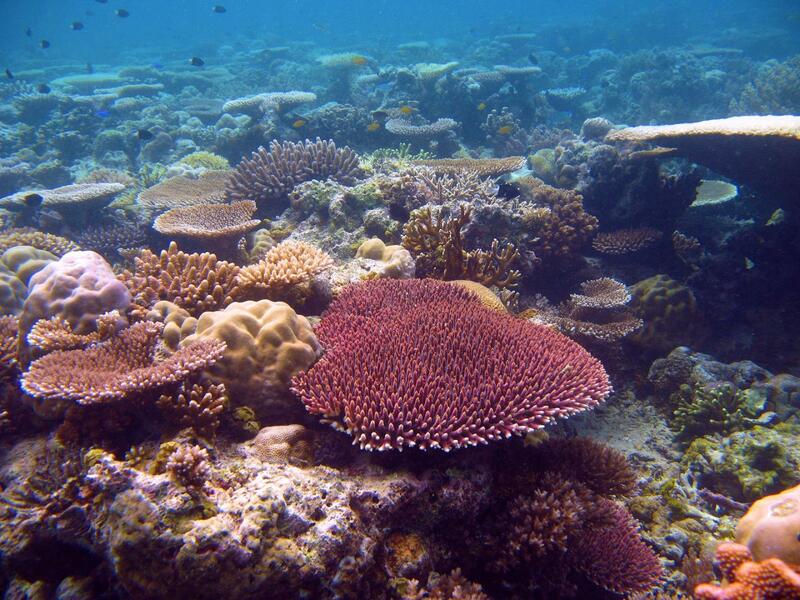 They plan to combine genetic samples taken from corals at five sites across the Great Barrier Reef in the early 2000s with ones taken at the same sites over the next five years to build a 20-year map of actual genetic changes that can be compared with model predictions.